A novelty for Tucson 2009. Very well defined crystals of the best quality for the species. 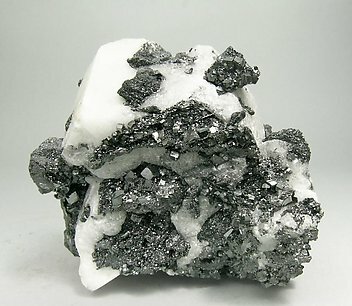 With an excellent luster, they are on a matrix of white crystals of Calcite. From a recent find (2008) at the new N’Chwanning III mine.